Not sure how to navigate the blogging industry? Should you reach out to brands? Should you reply all emails? Should you engage with your audience on every social media channel? 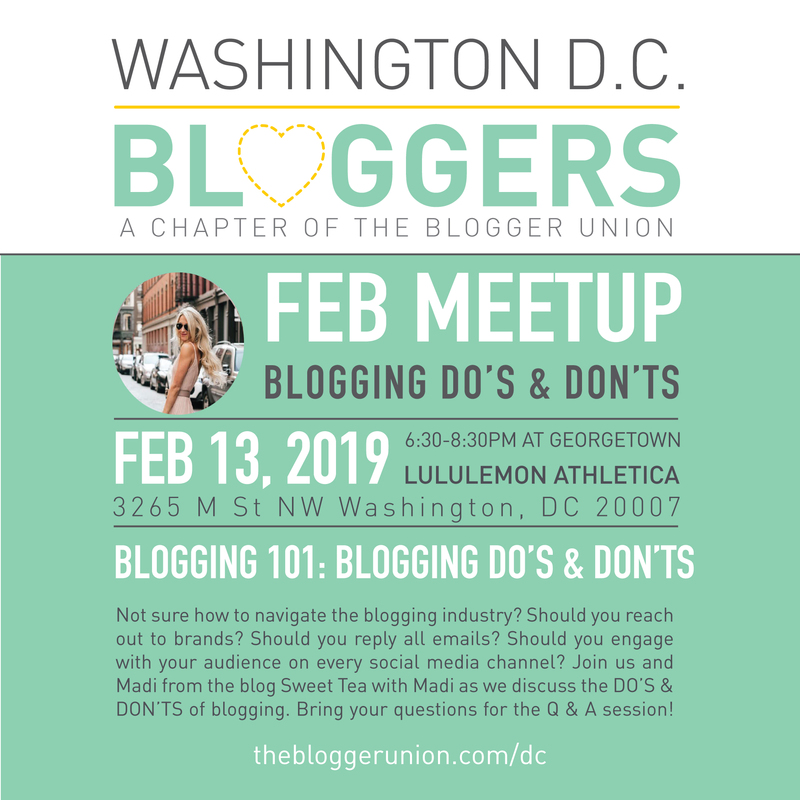 Join us and Madi from the blog Sweet Tea with Madi as we discuss the DO’S & DON’TS of blogging. Bring your questions for the Q & A session! Hey babes! I’m Madi and I run the lifestyle blog Sweet Tea with Madi, where I bring readers affordable fashion with a touch of humor. My hometown is Orlando, but for the past year and a half I’ve called DC home. My mantra is lots of hair, wine and stress! I love how blogging has connected me with new people and I look forward to meeting you all. Join The DC Bloggers Facebook Group! Add this badge to your site & support the DC Bloggers! Chapter Officer: Kimberly Pfaehler Kimberly Pfaehler is from Venezuela and currently lives in DC. After graduating with a Bachelor of Science in Business Administration with a concentration in Marketing, she traveled to Argentina to complete her post-graduate studies in E-Business. After living in Buenos Aires for nearly two years, she moved to Miami where she married and later gave birth to her beautiful princess, Vera. Inspired by her daughter, Kimberly created Oh Lola, a fashion and lifestyle blog, where she displays her creativity, and hopes to inspire mothers to keep an ounce of sanity through the art of staying fabulous.